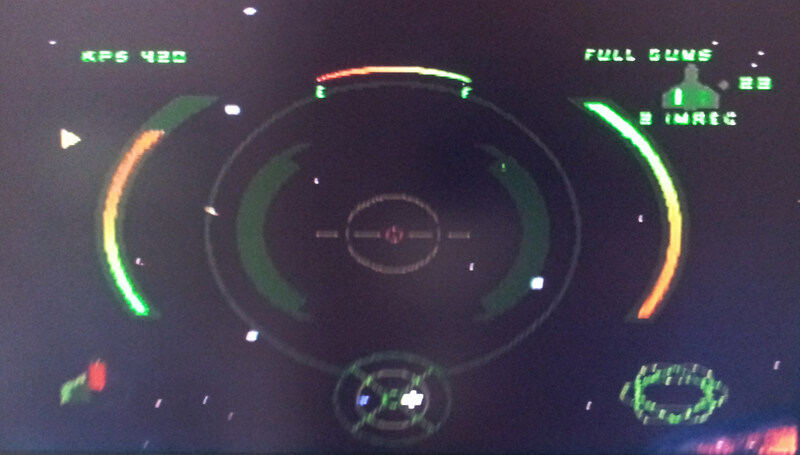 As something of a follow-up to my attempts to get Wing Commander 1 running on an ancient Tandy, I thought I shouldn’t neglect what was for a long time my Wing Commander game of choice, Wing Commander 4. 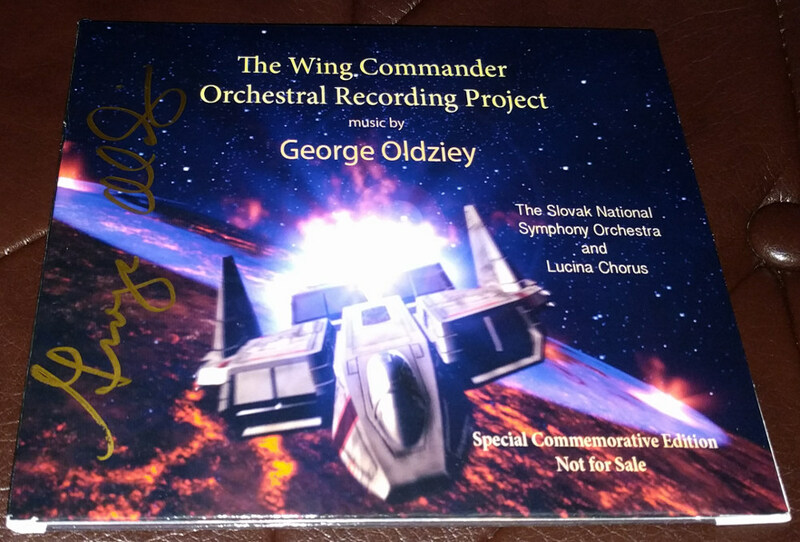 The only version ever sold in stores was on CD-ROM’s but in the mid to late 90’s, Creative released a bundle with a 2x DVD drive, MPEG-2 decoder and best of all a DVD-enhanced edition of Wing Commander 4. This bundle was the only way to get hold of this DVD as it was never made available in any other way that I’m aware of. I seem to recall that I already owned the rest of the equipment at the time but still wanted that DVD enough to buy the whole package when my first DVD drive bit the dust. The hardware is long gone but I do still have the DVD in its unassuming packaging. It’s a single layer DVD but is a flippy disk with the video on both sides. Any earlyish adopters of the DVD format will remember movies coming on these flippy disks and you had to get up and flip the disk half way through the movie. This is a Sigma Designs REALMagic Hollywood Plus DVD Decoder. In the 90’s PC’s were simply not powerful enough to decode a DVD on the fly so they needed dedicated cards just for this one task. Creative’s variant was called the DXR-2 but used the same chip if I recall correctly so it’s the same card to all intents and purposes. Something I didn’t recall until after I’d got the card was that it needs a special cable to operate correctly. The way these worked in that you would pass the video out from your VGA card into the decoder card with a cable, then connect your monitor directly to the DVD decoder. When doing any DVD decoding, the VGA card would render anything else on the screen leaving an empty box for the video which would then be layered over the top when the signal reached the decoder card. Early 3D cards worked the same way and I’m sure I had to loop my video signal through 3 cards at some point in the 90’s which didn’t do a whole lot for picture quality. These cables are completely non standard but I had a search in my big bag of old cables and lucked across exactly what I needed. Getting everything installed then was relatively easy. I’ve already got a Windows 98/DOS PC for just this sort of thing. I did have to swap out the CD-ROM for a DVD drive ruining the beige aesthetic but this PC will never be a thing of beauty. Tracking down some drivers for the decoder was simple enough so I soon had that set up. 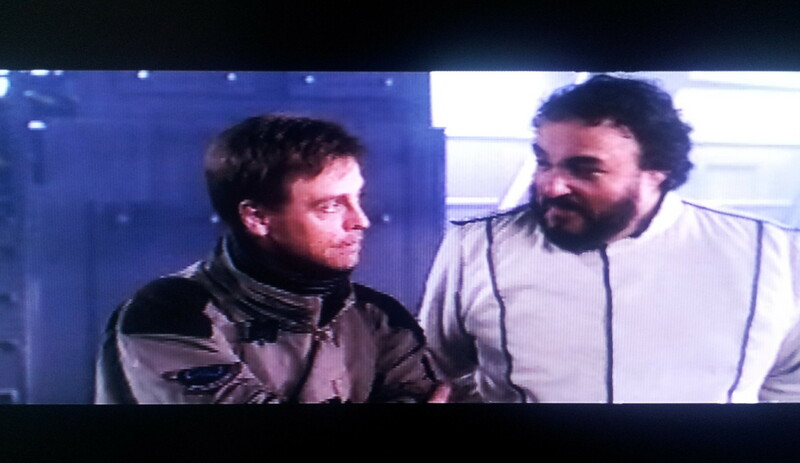 Getting the DVD version to run was slightly tricky. It’s Windows only and refuses to start at all unless your desktop is in 640×480 in 16 bit colour. Of course the readme file neglects to mention this whatsoever. When I figured that much out, the video ran fine but the game would give a DirectDraw error as soon as the spaceflight sections started. I’ve got 2 video cards in this PC, a Voodoo 3 and an older PCI Trio64 card. I can choose which I want to use by swapping the BIOS over to use AGP or PCI for graphics. The reasons I have 2 cards are firstly because the VFX-1 headset is extremely picky and on the rare occasions it gets used I have to be using the PCI card. Secondly, a whole lot of old software doesn’t like using the Voodoo 3 as it’s just a little too new for it. Usually it would be display corruption rather than actual errors but in this case, swapping to the PCI card fixed the problem and I could finally shoot down a few pirates in WC4. So what’s it actually look like? 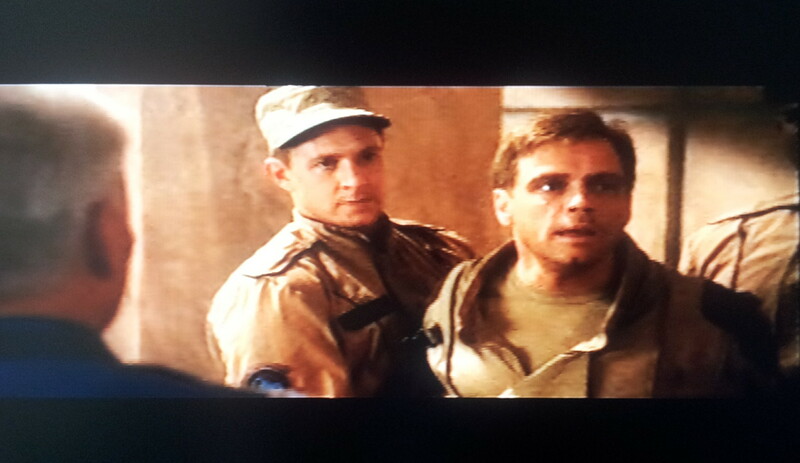 Well, the DVD video quality isn’t too bad at all off the Hollywood Plus and looks much like any DVD player. It’s a far cry from a modern Blu-ray though and has a visible wobble that is hard to describe. It was impressive enough back when the only competition was VHS but considerably less so these days. I seem to remember it working far better through a TV. The decoder has a tv-out for this purpose and I used to watch the video parts of WC4 on my TV while playing the game on my monitor when I first got this. I do like playing these low resolution games on a CRT but it’s only the gameplay segments that benefit here so that was no doubt the way to go back when everything I owned was in my bedroom. The TV is a bit too far away to try that these days. As ever when I start playing WC4, I didn’t want to stop at any rate and it somehow feels more correct playing it with a creaking 90’s Thrustmaster joystick. If all we had was the CD-ROM version to play these days, this process would definitely be worth the effort. As it is, I do like using the original hardware when possible but for 99.9% of people I’m sure you are better off sticking with the GOG version. There were a handful of other DVD-enhanced games and I also had these in mind when I was getting this set up. Especially Tex Murphy – Overseer which doesn’t have a decent method of being run on modern hardware that I’m aware of and I’ve not played it for some years as a result. Other than that, the only other DVD game that springs to mind is Zork – Grand Inquisitor which I’ve not had the chance to try at all as of yet. DVD technology arrived slightly too late for the FMV crazed mid 90’s or I expect more games would have seen DVD releases. 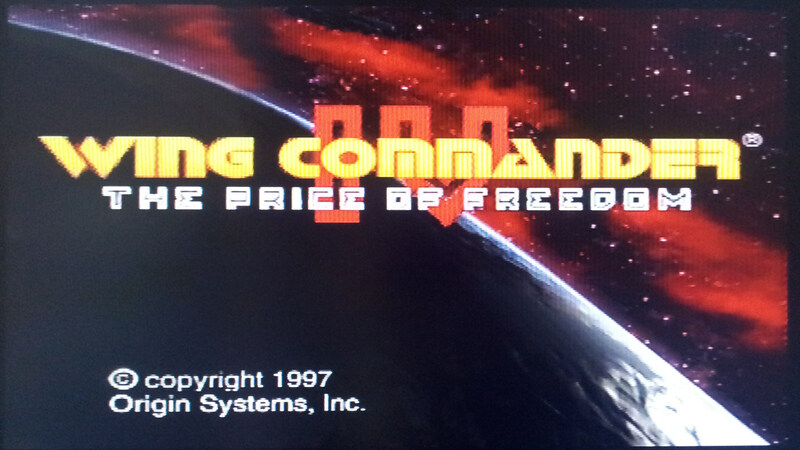 This playthrough has been on hold while I was sorting out a PS1 memory card for my PS2 but I’m up and running at last with one of the few Wing Commander ports I’ve got left to try – Wing Commander 4 on the Playstation 1. This came out in 1997 a year after the PC version. The UK packaging is the usual practical but boring jewel case with only a cut down manual. I have at least got the real hardware to play on this time after struggling with WC3 on an emulator some months back. 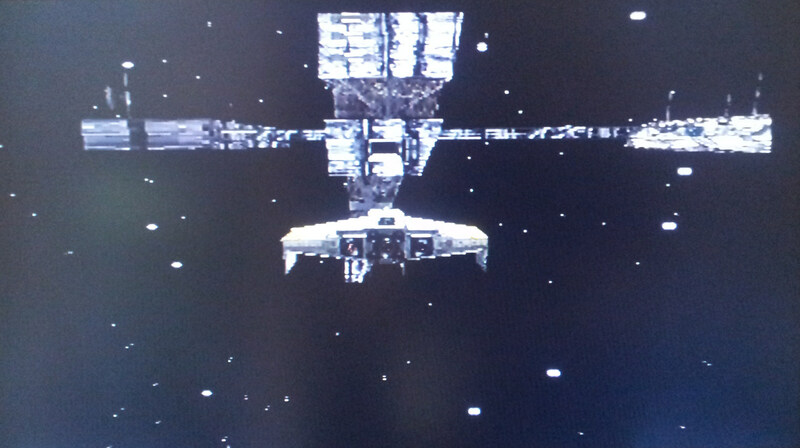 This does mean more dodgy photos of a TV screen for screenshots but they should be marginally clearer since the PS2 is connected to my main TV which is considerably less reflective. The manual concentrates on the controls of the game as much as anything with several different schemes to pick from. WC4 has the major advantage over WC3 of supporting the dual analog controller we’ve all become so familiar with these days although it is still playable with the original PS1 controller as an alternative. The port gets off to a good start with FMV that looks substantially better than the PC original, obviously worse than the DVD version but a definite improvement on the CD. One thing to note is that there are only 4 CD’s instead of the 6 that the PC game came on. I’d like to say this was just due to better movie compression but I soon discover that FMV has been liberally trimmed out of the game. I’m only onto CD #2 at the moment but all the communique’s with Tolwyn were cut, as well as most of the scenes in the officer’s lounge and at least one in Eisen’s cabin. It’s a massive downside for this port, you can hardly be expected to care about characters that you don’t really get to know. I realise certain reviewers would say there was too much movie and not enough game in the first place but there was little fat to trim in my eyes at least. Once in the cockpit, it’s mostly familiar with some slight tweaks. The biggest difference is the ships shield/armour display in the bottom left has been given a makeover. The new version is a little less clear if you ask me but still gets the information across. The visuals as a whole are considerably less crisp than on the PC but there are some advantages with the flight bay texture that was so blatantly used when far away from a carrier now dropped in favour of showing the full interior at all times. The framerate is consistently smooth and all the streaming digital music is present and correct if a little slow to swap tracks at times. One enhancement is that the game supports some force feedback when being hit or afterburning. It’s a little subtle for me to notice most of the time but it’s still nice to have it. I have found the analog controls to be quite twitchy for this sort of game and would prefer a real joystick any day. 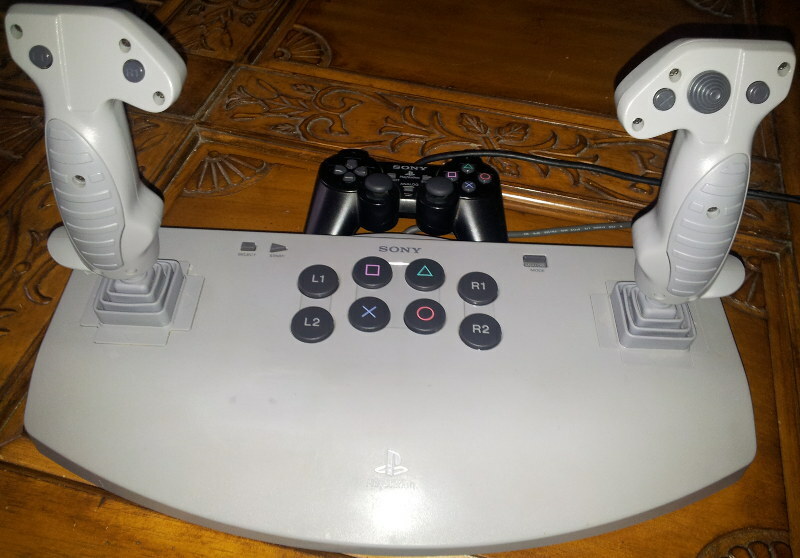 There was a dual analog joystick controller released for the PS1 which is supported by WC4 and has to be the way to play this game. I’m not certain if it will work correctly on the PS2 or not but they aren’t expensive and I’m sorely tempted to pick one up to try it out before I carry on with this playthrough. The other issue I’m having with the controls is that pressing the right analog fires the afterburners and with up/down on that analog stick controlling speed I’m tending to change speed unintentionally. 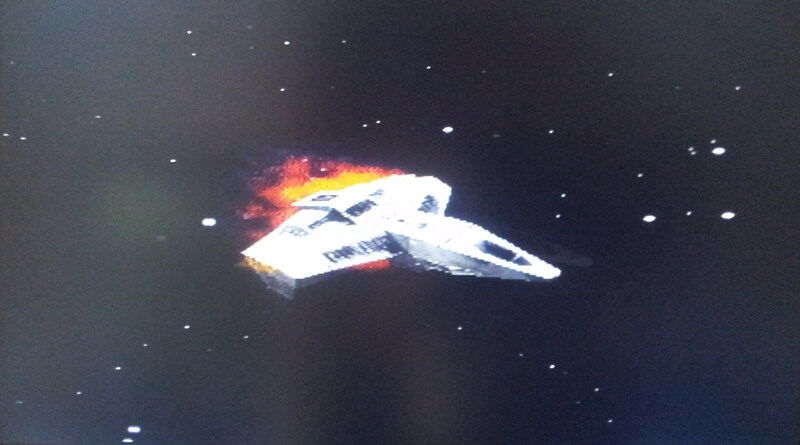 It’s all too easy to release the afterburners and then find I’ve accidentally come to a complete stop. This is exacerbated by a quirk of this port where the regular flight speed is added to the afterburner speed to come up with the speed you go when afterburning. I.e. Afterburning from 0 kps in a Hellcat maxes out speed at about 800 kps – from full speed it’s about 1200kps. 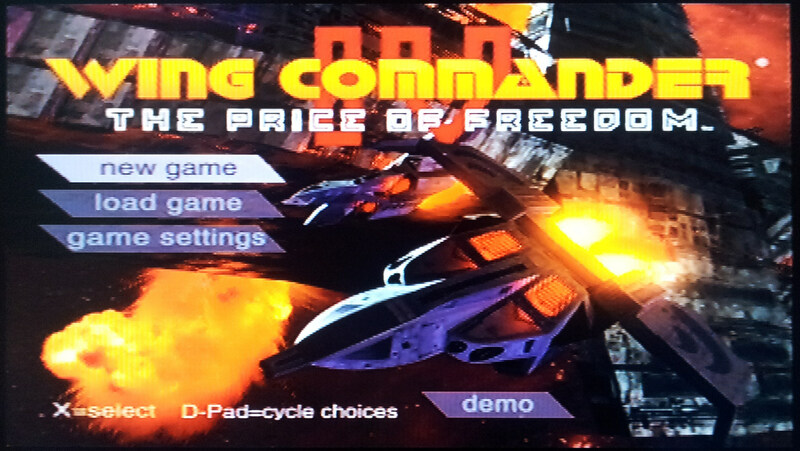 This isn’t consistent with any other Wing Commander I’ve ever played and I can’t think of any reason to change it here. Other than this the controls are excellent considering how much is being squeezed onto a pad. The PS2 controller has a huge advantage over every other console Wing Commander I’ve played so far in the sheer number of buttons available and it makes use of all of them. In the early missions, I struggle to get anywhere while I’m adapting to yet another enw control scheme. WC4 was never the most forgiving game and while there may be a touch more auto-aim on the guns going on here it’s basically exactly the same gameplay as the PC from what I can tell. 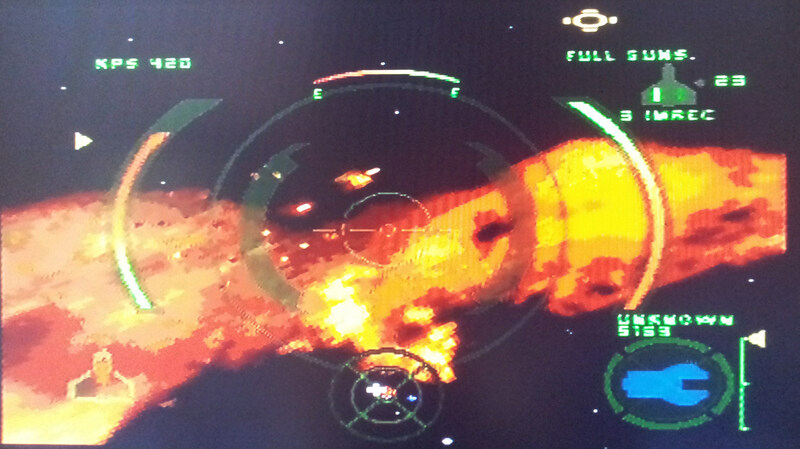 With my tendency to push far too hard on the thumbsticks I find myself overshooting targets all the time but I progress through missions with careful use of missiles and my aim is gradually improving. 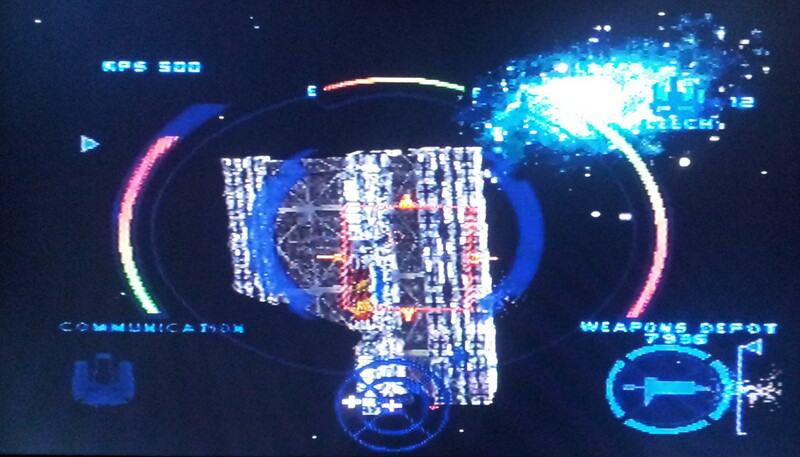 Adapting to each new Wing Commander port is almost like having to learn the game from scratch every time. One of the oddities with Wing Commander 3 on both PS1 & 3DO was the complete lack of planet based missions which were replaced instead by FMV. I wondered how this port was going to cope with the larger number of these missions and the answer so far is to pull them off the ground and have them take place in space instead. In the two planet missions I’ve reached the ground bases have become space stations and I get to take photos of these instead before escorting the marine ship in the following mission. These alterations are even edited carefully into the briefings which no doubt required some creative cutting so that they still made sense. I’m extremely curious now to see what happens to the mission later in the game where I have to halt a ground assault by tanks. The last thing that needs mentioning playing this on a console is the loading times off CD. None of these are bad on their own but they do consistently verge on the irritating with a pause for just about every action you carry out. All of these early CD consoles suffer from this to an extent but it’s worse here than I remember when playing WC3 on the 3DO. On first impressions then this isn’t a bad port but it is hardly competing with the original. The new “planet” missions make it worth a play for the curiosity value and the gameplay is intact but I’m not impressed by the missing FMV and it would be a whole lot more fun with the right controller. For that reason, I’m going to stop here until I get hold of one of these analog joystick controllers to play it properly. That could be some time so I’ll fit in another game or two on here before then. I’ve been playing Eye Of The Beholder on the Amiga this last week which I really enjoyed so I’m going to carry onto part 2 of that before anything else. I’ve decided to keep the games I cover on here at least vaguely related to Origin so I won’t be blogging about that one. 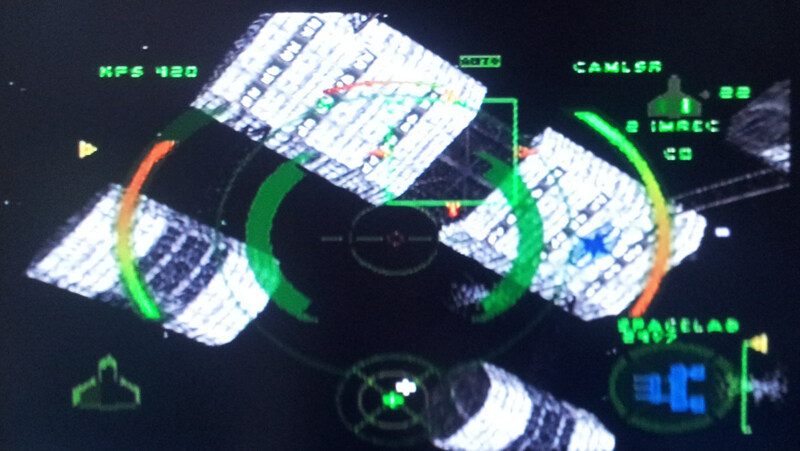 I do fancy digging out X-Wing for a playthrough after that though and since it’s so consistently compared to Wing Commander I think that justifies it’s inclusion on the blog.